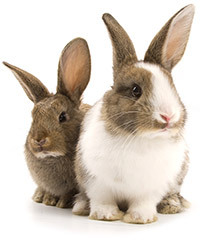 We are New Zealands dedicated vegan shop and committed to animal welfare. For every online purchase we donate a portion to the animal welfare charity of your choice. The Sanctuary is an animal refuge run by Shawn Bishop and Michael Dixon in Matakana, New Zealand. They provide a safe haven for abused and neglected animals, and care for injured or orphaned native birds. Farmwatch serve as a voice for animals by investigating and exposing cruelty, and rescuing animals in need of care. Animals experience feelings very similar to our own and deserve to live a natural life, free from suffering and slaughter. We work to create a future where all animals are treated with the compassion and respect they deserve. Exposing the reality of animal industries is essential to show the consuming public how farmed animals are bred and killed. Helping you help animals (HUHA) is dedicated to teaching empathy to the community and providing shelter for those less fortunate animals that struggle to survive in today’s disposable culture. The sanctuary is fun and interactive in many ways, designed to encourage our community to be proactive and take responsibility for the welfare of animals and the protection of our unique environment. HUHA actively works everyday to find homes and foster care for a multitude of homeless, abandoned, seized and abused animals. Gentle World’s core purpose is to help build a more peaceful society, by educating the public about the reasons for being vegan, the benefits of vegan living, and how to go about making such a transition. Toward that end, Gentle World has served as a clearing house of information, helping children, teens and adults embrace a lifestyle that incorporates their values. From its inception, we have offered free vegan education in the form of classes, seminars, workshops, and online information, as well as setting an example of the vegan lifestyle for visitors from all over the world. Gentle World Inc. is a non-profit, 501(c) (3) educational organization, incorporated in Florida in 1979, and based in Hawaii since 1989. In 2000, the organization was also granted charitable trust status in New Zealand. . 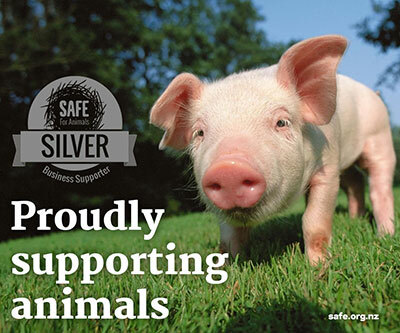 SAFE's aim is to make significant improvements in the lives of animals by raising awareness, challenging cruel practices, changing attitudes and fostering compassion so that they are no longer exploited or abused. For over 80 years SAFE has been one of the strongest voices in New Zealand defending animals against cruelty and abuse. SAFE is a non-profit charitable organisation financed solely through the goodwill of the community. SAFE is dedicated to changing attitudes and nurturing compassionate values by educating the public about the inherent value of animals. Sea Shepherd New Zealand is a non-profit conservation organisation whose mission is to end the destruction of habitat and slaughter of wildlife in the world’s oceans in order to conserve and protect ecosystems and species. Sea Shepherd New Zealand uses innovative direct-action tactics to investigate, document and take action when necessary to expose and confront illegal activities on the high seas. By safeguarding the biodiversity of our delicately balanced oceanic ecosystems, Sea Shepherd New Zealand works to ensure their survival for future generations. A registered charity based in Southland, New Zealand, that is dedicated to connecting "retired" Greyhounds with their forever homes. The New Zealand Animal Law Association is a new coalition of lawyers working to improve the welfare and lives of animals through the legal system. They currently have over 200 lawyers throughout the country signed up, from Whangarei to Timaru, spanning various practice areas, including lawyers working for large commercial law firms, criminal and civil litigators, in-house counsel, lawyers working for government and the judiciary, and even a Queens Counsel.